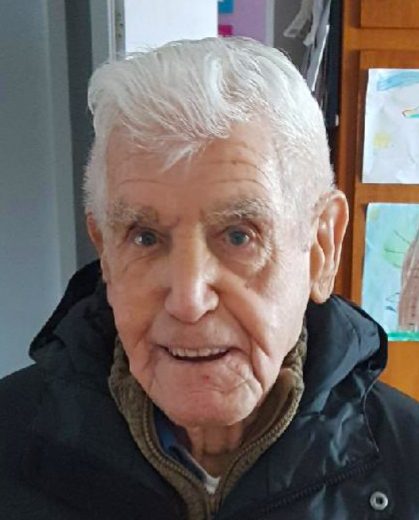 Raymond (Ray) Joseph Drake of Calgary, passed away on January 15 2019 at the Rockyview Hospital after a brief illness. Ray was born on March 14 1929 to Pius and Beatrice, in Lamaline Newfoundland. He moved to Halifax where he met Audrey and they had 5 children together. In 1965, Ray moved his family to British Columbia where he commercially fished until retiring in 1984. He spent many enjoyable years in Steveston, and loved to bet on the ponies and shoot a good game of snooker. Very rarely was he ever beat in the game of cribbage. Ray is predeceased by his brother Austin, and sisters Elizabeth and Sally. He is survived by his sisters, Charlotte, Marion and Sally; his brothers, Howard and Bernard; his children, Louise Kroeker of Calgary, Gary Drake of Calgary, Leon Drake of North Vancouver BC, Glenn Drake of Calgary, and Koren Drake of Pincher Creek AB. Ray also leaves behind his grandchildren, Jamie Critchell , Stephanie Kroeker, James and Michael Drake, all of Calgary, and Marie Schieman of Edmonton. Also his beloved great grandchildren, Dexter and Imogen Critchell who called lovingly Ray "Fishing Grandpa".